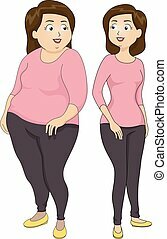 Body size comparison. 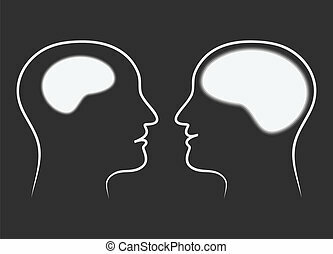 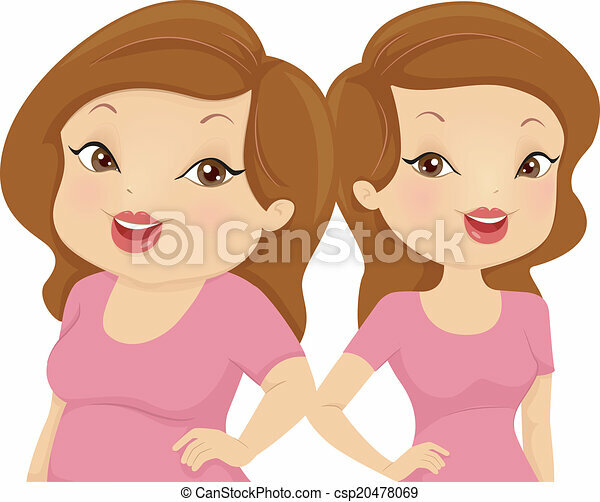 Illustration comparing a chubby girl and a skinny one. 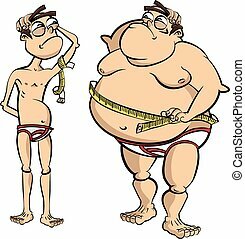 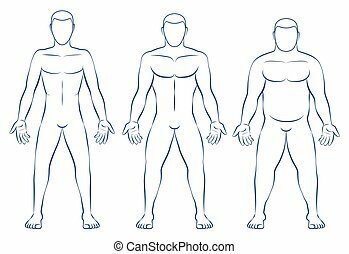 Body types - ectomorph, mesomorph and endomorph. 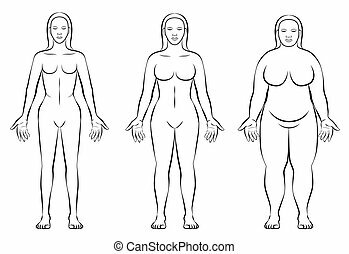 Female body constitution types - thin, normal weight and fat figure of a woman - ectomorph, mesomorph and endomorph - isolated outline vector illustration of three women with different anatomy. 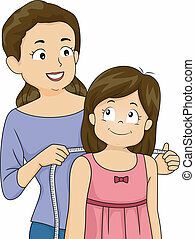 Stick figures pictogram depict average, tall, short, fat, and thin body figures of female human. 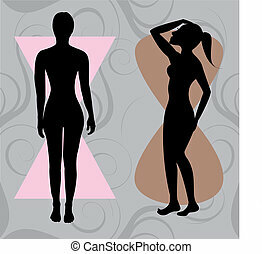 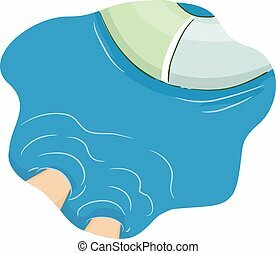 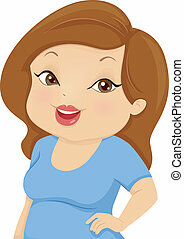 Vector Illustration of female body shape hourglass. 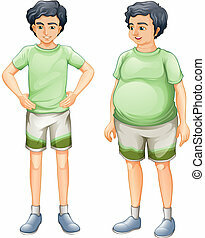 Shape with balanced curves. 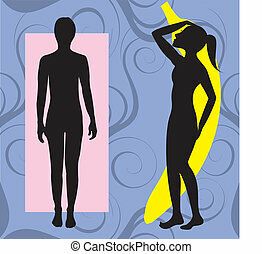 Vector Illustration of female body shape banana also known as ruler. 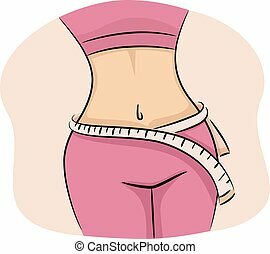 Shape with few curves. 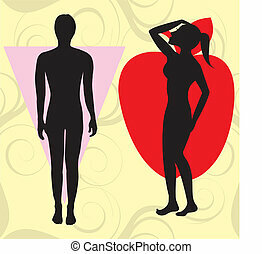 Vector Illustration of female body shape apple also known as cone. 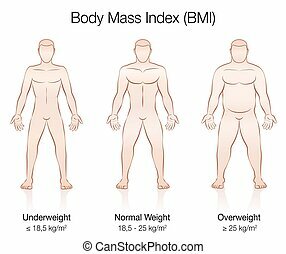 Shape with wider upper body and narrow hips. 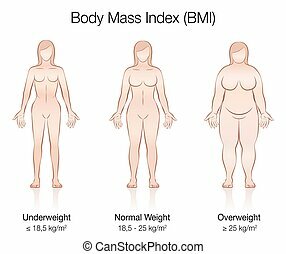 Vector Illustration of four basic female body types with pink bikini swimsuits illustrated on silhouettes with body shapes below.